At Blake & Dorsten, our Tampa Bay BUI lawyers represent Florida residents who have been charged with boating under the influence of alcohol or drugs. We are former prosecutors who understand how police and state attorney’s offices approach these cases, and we know how to build a strong defense for the people whom we represent. Our lawyers take pride in guiding clients through the criminal justice process with experience and professionalism, fighting to get charges dropped or reduced whenever possible. Boating Under the Influence is a relatively common offense in Florida. It comes with the threat of significant criminal penalties, since law enforcement agencies have been seeking to crack down on impaired boating and reduce the rate of crashes on the water. A first BUI offense may result in up to six months behind bars and as much as a $500 fine. The potential imprisonment and fines increase if the defendant has a blood alcohol content of .20 percent or more or has previously been convicted of boating while intoxicated. They also increase if the defendant is involved in an accident that causes property damage or a physical injury to another person. First-degree BUI manslaughter, for example, carries a penalty of up to 30 years in prison. It is important to remember that the burden is always on the prosecution to prove that a person charged with BUI actually committed the crime. This means in standard BUI cases that they need to establish beyond a reasonable doubt that the defendant was operating the boat with a blood or breath alcohol level of more than .08 percent. This is done by asking the boater to submit to a breath, blood, or urine test to measure the amount of alcohol in their system when the boat is stopped by a police officer or when the officer arrives at the scene of an accident. The prosecution may also get a conviction by proving that the person was under the influence of alcohol or drugs to an extent that it impaired their “normal faculties.” This is often done by conducting a field sobriety test, in which a police officer asks the boater to move around the boat and show the officer various safety equipment that all vessels in Florida are required to have on board. This route often raises questions about whether the boater’s behavior was enough to show that they were actually impaired. In contrast to DUI cases involving cars, trucks, and other vehicles, the police, the Coast Guard, and other law enforcement officers have a broad authority to stop boats and board them for safety and other inspection reasons. This makes it much easier for law enforcement officers to say that they noticed that a boater was impaired after boarding a vessel. This is also why it is important to seek the counsel of an experienced criminal defense lawyer as soon as possible if you are charged with or suspected of boating under the influence. 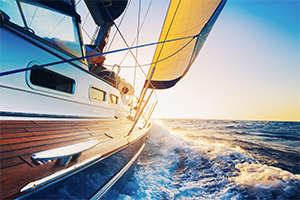 Our attorneys fight aggressively to defend people charged with Boating Under the Influence. We know how stressful it may be to face criminal charges and the possibility of fines and imprisonment. Our Tampa Bay BUI attorneys work diligently to build a robust defense for the people whom we represent, and we are proud to stand with clients in their times of need. We represent defendants in Clearwater, St. Petersburg, Tampa, Sarasota, Brandon, Fort Myers, Cape Coral, and Bradenton, as well as other communities in Hillsborough, Pasco, Pinellas, Manatee, Sarasota, and Lee Counties. Call us at (727) 286-6141 or contact us online to make a free appointment to discuss your case with a BUI or DUI attorney.